Emile Ratelband To Appeal After Losing Court Case on Age Change Emile Ratelband, 69, says he feels 20 years younger, and he had asked a court to allow him to change his legal age accordingly. He lost his case, but plans to appeal. 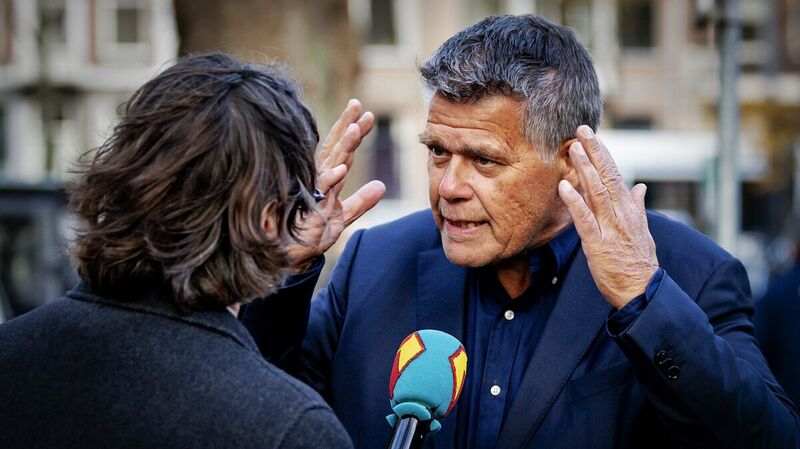 Emile Ratelband, 69, answers journalists' questions on Monday in Amsterdam. An Amsterdam court rejected his request to legally change his age to 49. "[U]nlike the situation with respect to a change in registered name or gender, there are a variety of rights and duties related to age, such as the right to vote and the duty to attend school," the court wrote in a statement. "If Mr Ratelband's request was allowed, those age requirements would become meaningless." There was no evidence that Ratelband had experienced age discrimination, the court said. And it rejected his argument on the basis of free will, writing that "free will does not extend so far as to make every desired outcome legally possible." "Mr Ratelband is at liberty to feel 20 years younger than his real age and to act accordingly," the court continued. "But amending his date of birth would cause 20 years of records to vanish from the register of births, deaths, marriages and registered partnerships. This would have a variety of undesirable legal and societal implications." Ratelband was not discouraged by the decision. "The reaction of the judges is fantastic, is great," he said. "You know why? Because we have a strategy," he added, referring to his plan to address on appeal the specific reasons the judge gave in rejecting the age change. In the Netherlands, Ratelband's actions, and the international exposure he's garnered, have been met with mockery and bemusement. "The Netherlands laughs at the crazy Emile, who meanwhile gives interviews around the world," wrote the Dutch newspaper Algemeen Dagblad. It called Ratelband's claim that he's younger than his true age "absurd."